I am a PhD student with training and interest in biomedical imaging and image analysis. My research devotes to developing new or advancing existing imaging techniques for use in biomedicine. I have worked on research projects spanning optical imaging, bioimage informatics, and photoacoustics. My current research focuses on developing polarized light microscopy to visualize collage fiber orientation. I am working on my PhD in the Laboratory of Ocular Biomechanics under supervision of Ian A. Sigal, PhD. 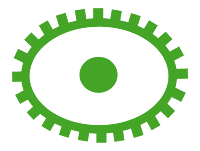 My research includes polarized microscopy, Fourier ptychography, and optical coherence tomography. 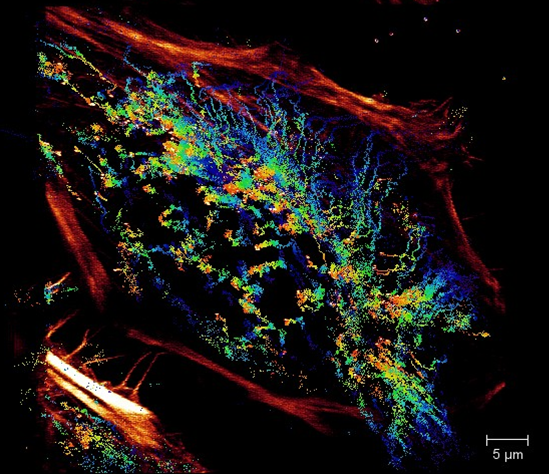 The research was to advance a new polarized light microscopy technique which can colorize collagen fiber orientation without image processing. That is, single image "the snapshot", allows visualizing the collagen fiber orientation. Since it only requires one image, it can be done in real time, and is therefore a powerful tool for dynamics mechanical testing. In addition, I have done simulations to study the relationship between colors and fiber properties such as orientation and retardance. Therefore, the colorful images can be quantified into angles based on the simulated result. I work closely with Bin Yang, PhD. The work was presented at the Carnegie Mellon Forum on Biomedical Engineering and was awarded 1st prize in the imaging category. 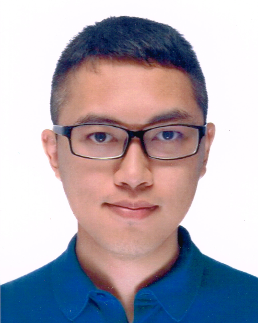 Before starting my PhD work, I was a research assistant in Academia Sinica in 2017-2018 under the supervision of Bi-Chang Chen, PhD, focusing on cell image processing and analysis for lattice light-sheet microscopy. Segmentation is the prerequisite for image analysis, such as quantification and tracking, whereas it has to overcome photobleaching, aberration, and heterogeneous environments. This work focused on image segmentation, analysis, and visualization for mitochondria dynamics, which was observed through over thousands of volumes within 20 mins to span cell division process by lattice light-sheet microscopy. 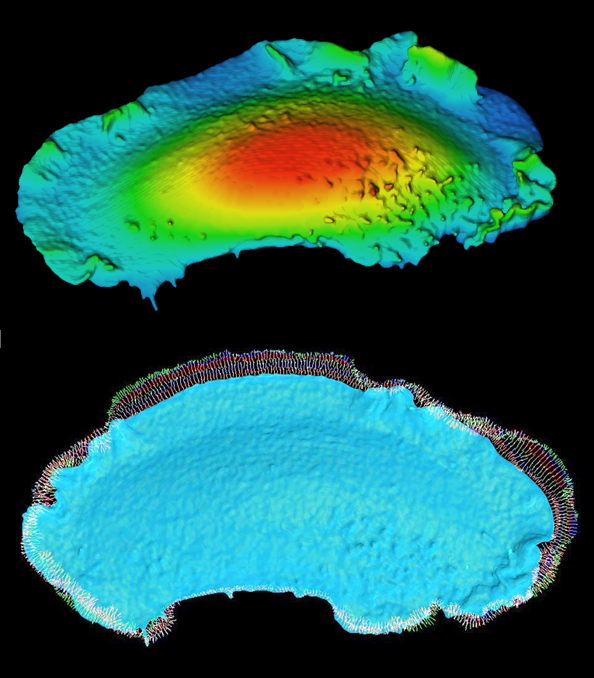 Segmentation and graphing provide the access to quantify mitochondrial distribution, motion, and fission-fusion dynamics. In this study, the findings imply that both mitochondrial redistribution and the fission-fusion frequency are related to mitotic phases and that mitochondrial segregation may be triggered by the form of cleavage furrows. This work was a demonstration to understand how cytoskeletal changes in the cell by nanoparticles. The nanoparticles on the cytoskeleton were detected by wavelet filters and was tracked by Jaqaman's algorithm which was implemented by Amira. Since cytoskeleton can be viewed as simply a structural framework playing a role in cell shape and motile events, the footprint of nanoparitcles are can be a marker in cell processes. The work focused on tracking chromosomes of C. Elegant embryo, where the chromosomes were detected and converted into lines for endpoint tracking. The method provided an access to understand what the arrangement of chromosomes during cell division in the early stage. This work was to visualize and quantify the regions of Drosophila Embryo by Cadherin, an epithelial marker. It is a way to understand the epithelial-mesenchymal transition. This work was to trace the embryonic lineage of C. Elegant. Segmentation was based on watershed transformation; tracing was based on overlapped regions over time. The analysis provided an access to understand the timing of cell proliferation and the corresponding volumes and positions. This works was to segment the membrane over time. The segmentation was based on histogram analysis to compensate photobleaching so that the segments were reliable over time. 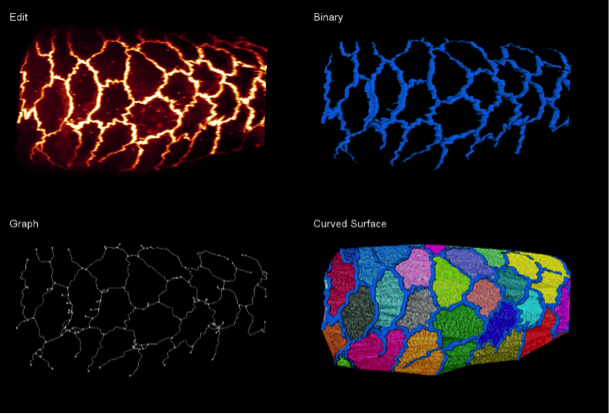 The results provided an access to quantify the change of volumes and to vectorize the cell deformation over time. My undergraduate's and Master's studies focused on photoacoustic imaging under the supervisions of Meng-Lin Li, PhD and Pai-Chi Li, PhD respectively. 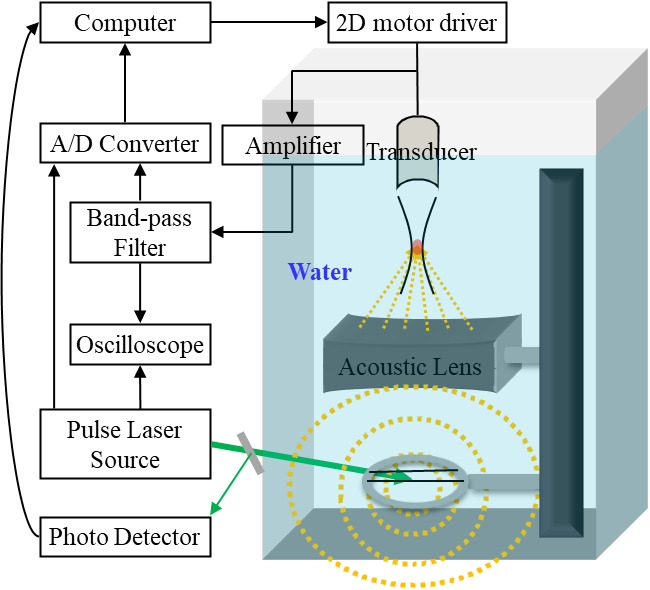 Photoacoustic imaging is a hybrid biomedical imaging modality, combining optical excitation with ultrasonic detection. Photoacoustic imaging provides the ability which conventional ultrasonic imaging lacks, to detect hemoglobin, melanin, and other light-absorbing contrasts, but with greater imaging depth than pure optical imaging relying on ballistic photons. The proposed microscope was integrated with an automatic imaging system and photoacoustics with contrast agents for studying tumor-immune interaction in a 3D cell culture system. 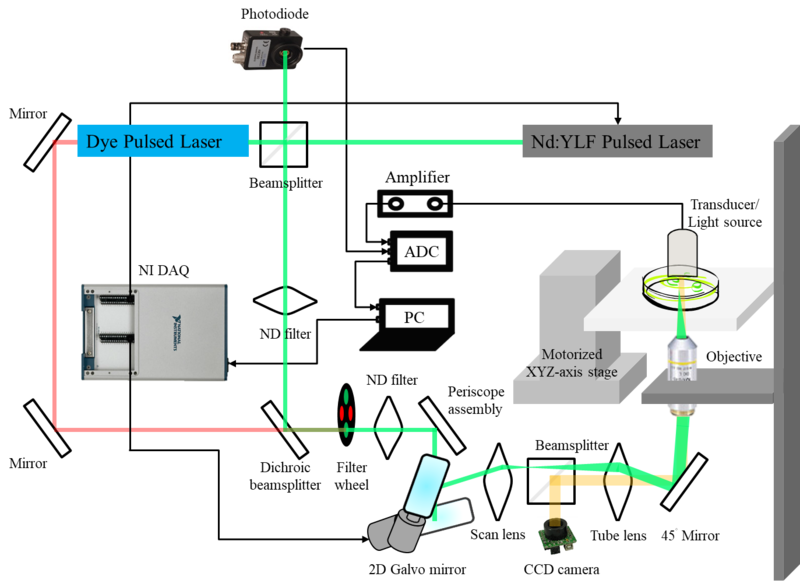 Proposed a live-cell imaging system integrated with optics, laser scanning mechanism, and synchronization. Constructed a LabVIEW-based and user-friendly interface for imaging operation. Architected an image reconstruction algorithm for 3D photoacoustic images under the MATLAB interface. Built protocols including contrast agents and 3D cell culture systems for the image system under collaboration. This work was to verify the feasibility of Photoacoustic Angio-cam (PA-Cam) for subcutaneous vasculature imaging. The proposed PA-Cam was based on digicam-like photoacoustics, which was integrated with pulse laser, acoustic lens, and 2D acoustic detection. 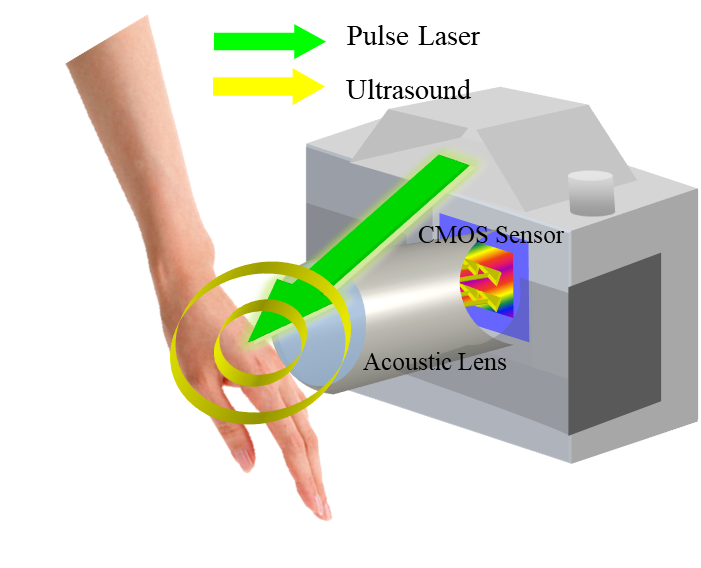 Proposed a prototype acoustic-lens-based photoacoustic imaging system for diagnosis of vascular diseases. Integrated a defocused scanning method with a focused ultrasonic transducer to simulate a 2D acoustic detector. Verified the feasibility of a 2D CMOS-based acoustic detector under collaboration. Outstanding Poster Award, Carnegie Mellon Forum on Biomedical Engineering, Pennsylvania, United State, 2018. Best Freshman Counselor, National Tsing Hua University, Taiwan, 2014. First Prize, Contest of Special Topics on Implementation, Department of Electrical Engineering, National Tsing Hua University, Taiwan, 2014. College Student Research Scholarship, National Science Council (NSC), Taiwan, 2013. National Tsing Hua University Exchange Scholarship to Mainland China, Center for Continuing Education, National Tsing Hua University, Taiwan, 2012. Honorable Mention in Essay, Spring Chinese Writing Contest, National Tsing Hua University, Taiwan, 2011. Yun-Chi Tsai, Wei-Chun Tang, Christine SiokLan Low, Yen-Ting Liu, Jyun-Sian Wu, Po-Yi Lee, Yi-Ling Lin,Pakorn Kanchanawong,Liang Gao,Lindsay Chen, Bi-Chang Chen, "Rapid High Resolution 3D Imaging of Expanded Biological Specimens with Lattice Light Sheet Microscopy." Methods (accepted). Xiaofei Bai, Po-Yi Lee, Chin-Yi Chen, James R. Simmons, Benjamin Nebenfuehr, Diana Mitchell, Lindsey R. Klebanow, Nicholas Mattson, Christopher Turpin, Bi-Chang Chen, Eric Betzig, Joshua N. Bembenek, "Programmed Variations of Cytokinesis Contribute to Morphogenesis in the C. elegans embryo." (under review). Po-Yi Lee, Bin Yang, Ian A. Sigal, "Snapshot Polarized Light Microscopy for Quantifying Collagen Fiber Orientation in Ocular Tissues." Carnegie Mellon Forum on Biomedical Engineering, Pennsylvania, United State, September 21, 2018. Chin-Yi Chen, Yen-Ting Liu, Po-Yi Lee, Yun-Chi Tsai, Peilin Chen, Bi-Chang Chen, "The subcellular voltage and calcium dynamics of hippocampal neurons on matrigel-based three dimensional culture are revealed by lattice light-sheet microscopy." Conference: Cell Biology of the Neuron: Emerging Themes in Neuronal Trafficking, Homeostasis, Synapse Function and Disease Mechanisms, New Hampshire, United State, June 24-29, 2018. Po-Yi Lee, Chi-Yi Chen, Yu-Ting Tseng, Chung-Chih Lin, Bi-Chang Chen, "Visualization and Quantification of Mitochondrial Dynamics with Lattice Light-sheet Microscopy," 2018 Focus on Microscopy, Singapore, Singapore, March 25-28, 2018. Po-Yi Lee, Nien-Ching Ho, Kai-Heng Lin, Ling-Ya Huang and Pai-Chi Li, "Multiwave Imaging Technologies for Three-dimensional Cell Culture Systems," 2016 Global Conference on Biomedical Engineering, Taipei, Taiwan, August 17-19, 2016. Po-Yi Lee, Wei-Wen Liu, Shu-Ching Chen, Pai-Chi Li, "3D Photoacoustic Microscopy for Cell Tracking," 2016 European Molecular Imaging Meeting, Utrecht, Netherlands, March 8-10, 2016. Po-Yi Lee, Wei-Wen Liu, Shu-Ching Chen, Pai-Chi Li, "Dual-wavelength Optical-resolution Photoacoustic Microscopy for Cells with Gold Nanoparticle Bioconjugates in Three-dimensional Cultures," SPIE International Symposium on Biomedical Optics, San Francisco, California, February 13-18, 2016. Po-Yi Lee, Nien-Ching Ho, Kai-Heng Lin, Ling-Ya Huang and Pai-Chi Li, "Multiwave Imaging Technologies for Three-dimensional Cell Culture Systems," Symposium of Annual Conference of the Biomedical Engineering Society, Taipei, Taiwan, November 13-14, 2015. Po-Yi Lee, Hao-Wei Lee, You-Lin Chen, Yi-Wen Liu, "Investigation of Image Processing Methods for Music Score Recognition," 2013 National Computer Symposium, Taichung, Taiwan, December 13-14, 2013.